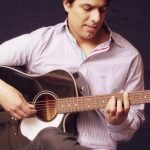 As a singer songwriter myself, I can tell how frustrating and difficult it is to start to play the guitar at first. With my lessons, you will be experiencing the learning process less complicated. You will find out that playing and singing your first song has been never so easy. And yes! I said singing. With my guitar lessons, I am offering a basic vocal lessons that is included on the actual price, but optional. I am currently offering lessons in English, Spanish and persian/farsi. All genres and ages are welcome.